German and US launch events have revealed it to be dynamic, involving, charismatic and capable. But there’s one test it had still to face: the unique challenge of UK roads. Sinuous, unpredictable, pot-holed and ramshackle, British roads are seen by many as the ultimate dynamic engineering bellwether. Particularly the blinding roads around Inverness, where BMW has been holding the UK launch event for the 1 Series M Coupe for the past week. I was there for the first day: so, too, were many international journalists. BMW M GmbH didn’t hold an official international launch for the 1 M. The UK press office thus stepped in, to cater for foreign writers who didn’t get a chance to drive it in their home market. How, then, did it fare? Marvellously. Everything you’ve read about the 1 Series M Coupe’s considerable abilities shone through on the delectable Inverness roads too. Relief for the BMW engineers and great news for us. It proves the genuine M spirit is back. But what is the essence of its mastery? Here are six snapshots. 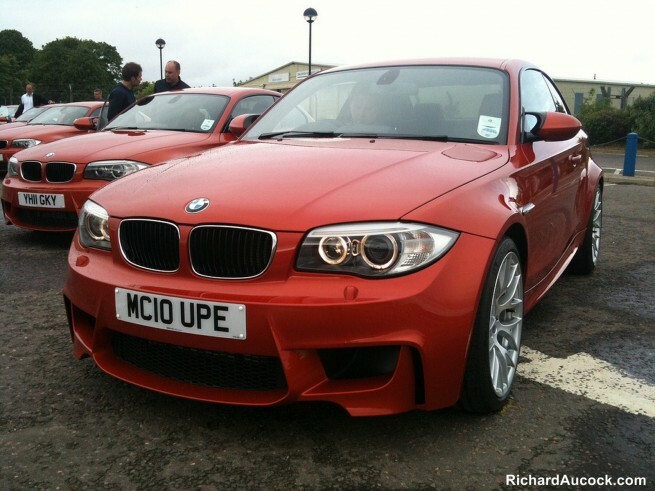 The BMW 1 Series M Coupe is taut. On UK B-roads, it’s pretty jiggly, with a nuggety feel to the ride that excites passengers with high-frequency jitters. What it is not, though, is harsh. This is more of a racing car stiffness, rather than something that’s plain hard: the suspension is still allowed to breathe, and individual wheels are still allowed to compress and rebound as the surface requires. Good damping helps here. BMW elected not to use electronic dampers, and the measured, sensitive way it’s tuned the passive units shows decades of M experience at work. What’s more, the ride also settles down appreciably on smoother roads, again allowing this damping to do its work. Think of it as a tiptoe-like feeling: plenty of firm reassurance, yes, but also light on its feet despite this. Goodness, if this is to become an M characteristic feel in the future, we’re all in for good times. 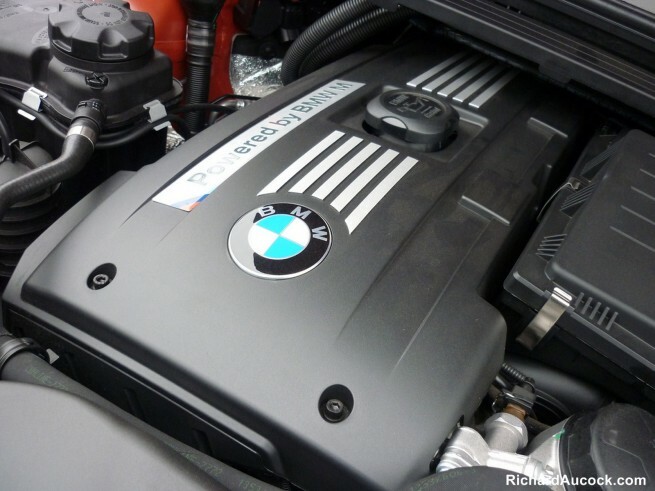 Eschewing EPAS in favour of hydraulic isn’t the only retro move BMW’s made, for the engineers have also given it an old-school feeling of weight, too. The steering is meaty, firming up appreciably when turning into bends, just like steering systems used to. On Scottish switchback roads, this variation in weighting is delicious. It really involves the driver and offers tuned-in reassurance that helps them understand what road conditions are like, and also utilise the balance of the rear-drive chassis in corners. Keen drivers will love it – steering systems this pure are a real rarity nowadays, so praise be to BMW for emulating a 1980s feel here. There is nothing predictable about UK roads. If it’s not a surprise corner, it’s a surprise sheep, or a surprise cattle grid, or a surprise Toyota Starlet dallying in front of you. Driving a high-revving engine fast thus really takes it out of you. What you need is a torquey motor, that helps you pounce even when you’re caught out in a high gear. How the 1 Series M Coupe delivers. The spread of torque is exceptional. It will pull from tickover revs, and offers useful grunt from as little as 1500rpm. In reality, this means you can leave it in 3rd on a UK country sequence, and still have all the power and drive you need. Such is the muscle, you’ll feel yourself pressed into the seat even at 80mph plus, even if you’re in sixth gear. 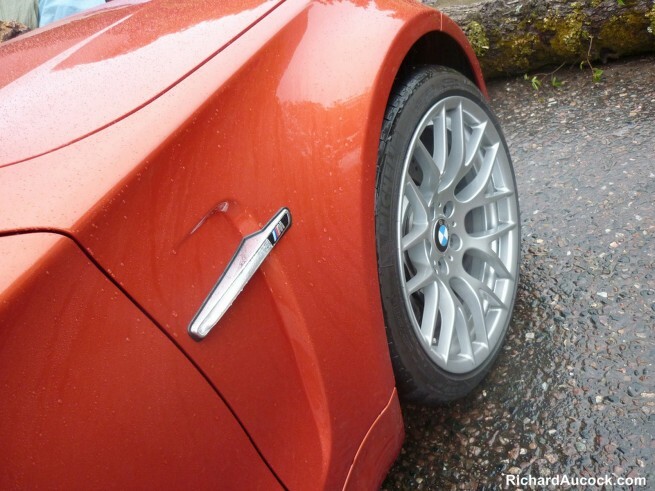 Of course, such torque also allows DSC-off exploits with ease, should a tight UK hairpin allow. It’s a brilliant antithesis to the peaky nature of the M3’s V8, and works stupendously well on British roads. It’s pretty rare you can drive full-bore in the UK. It’s thus vital a performance car offers satisfaction at slower speeds, too. 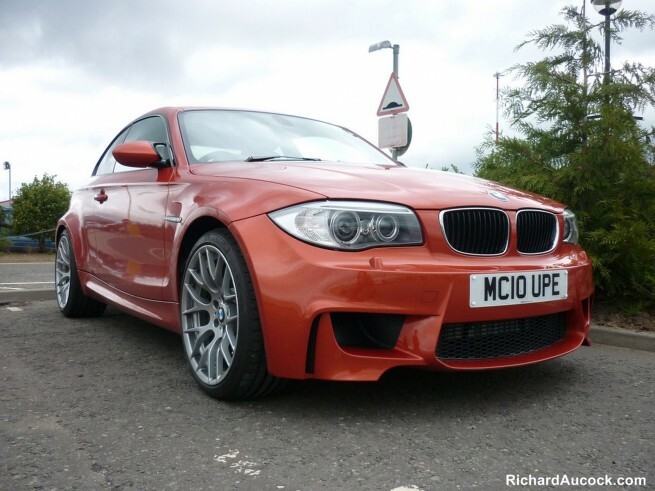 The BMW 1 Series M Coupe ticks this box. Be it the creamy engine, snickety gearshift (complete with fantastically short, stubby lever), the mechanical feeling of the pedals or the pleasure derived from feeling the steering’s weight vary, it’s as rewarding at 10mph as it is at 100. Torque is always there, the overlay of turbo whoosh is a pleasant new addition to the soundtrack, and the impression of wide, chunky, squat sophisticated muscle you get ensures the stubby little 1 M satisfies even if you’re crawling through the city centre. It’s not all mechanical, either. The low, bolstered, sportingly supportive seats play their part, as do the grey graphics on the dials, the deluge of orange stitching and the overriding impression you’re sitting in something very, very special indeed. A collectable car for life? Rare will the driver be who doesn’t think this. Such is the feel through the steering, and such is the bite of the 19-inch CSL-style wheels’ 35-section tyres, and such is the excellent balance of the rear-drive chassis, pedalling a BMW 1 Series M Coupe fast is something you can enjoy without fear or hesitation. Some fast cars can feel clumsy on the road, somewhat aloof until you’re really on it, which doesn’t quite instil the snappy crispness you desire. The E60 M5 was a case in point here. The 1 Series M Coupe is different: all the assurance you get at higher speeds is there at lower speeds, too. This counters every last spot of UK road unpredictability – it’s possible to place it inch perfect, hit every apex, brush every pebble marking every single turn-in point. The engine plays its part here, too, as you’re never guessing when it will deliver full power, or whether you’ll be able to throttle-balance it to the extent you desire. It’s that race car comparison again. The 1 Series M Coupe is without fluff or woolly softness, and instead flooded with pinsharp accuracy that helps even the most hesitant feel encouraged to get the best out of it. Here’s the clincher. 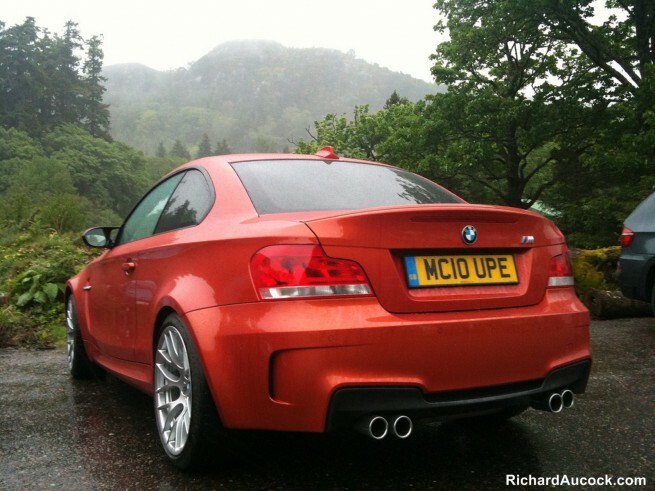 The 1 Series M Coupe is plain good fun. It oozes character, brings a smile to the face no matter what the road, basically presses all the buttons in a car enthusiast that will guarantee they’ll be besotted. It’s modern yet retro, and the most convincing reinvention of the original BMW E30 M3 yet. BMW has, this weekend, revealed the BMW 328 Hommage, as the latest in its ‘Hommage Car’ range. With the 1 Series M Coupe, it may just have the basis for its third: genuinely, it offers all the grin-inducing delights you’d expect of a BMW E30 M3 Hommage.